CWB is on the move. After a couple of years of uncertainty, the business is now partnered with G3. The ability to move grain cars is a real challenge at times and in order to manage its short haul needs CWB purchased a couple of locomotives. Prior to the purchase, Sherpa worked with CWB on extending its out of home marketing presence and brand. With that in mind, we set out on an ambitious and fun project. The idea was to create a compelling paint scheme within a fairly rigorous set of guidelines set out by the train's maintenance company. Our designers secured technical drawings of the locomotive and began the process of mocking up various paint schemes. 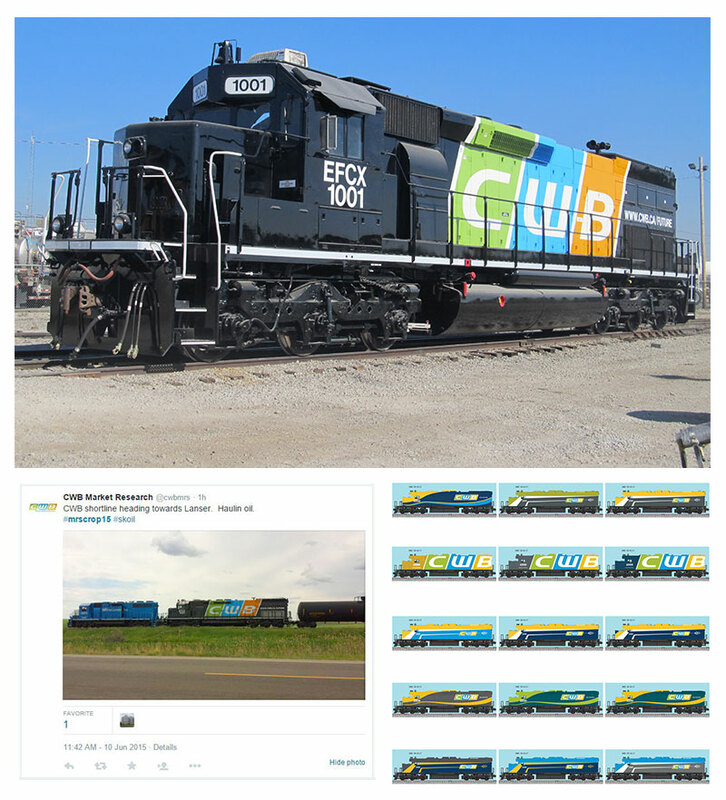 Eventually a design was selected, the locomotive painted and delivered. If you are in Western Canada, you might just see our work hauling a few dozen grain cars. The number of impressions over the lifetime of the engine will be in the millions and it will certainly solidify the fact that CWB is a serious player in Canadian Agriculture.